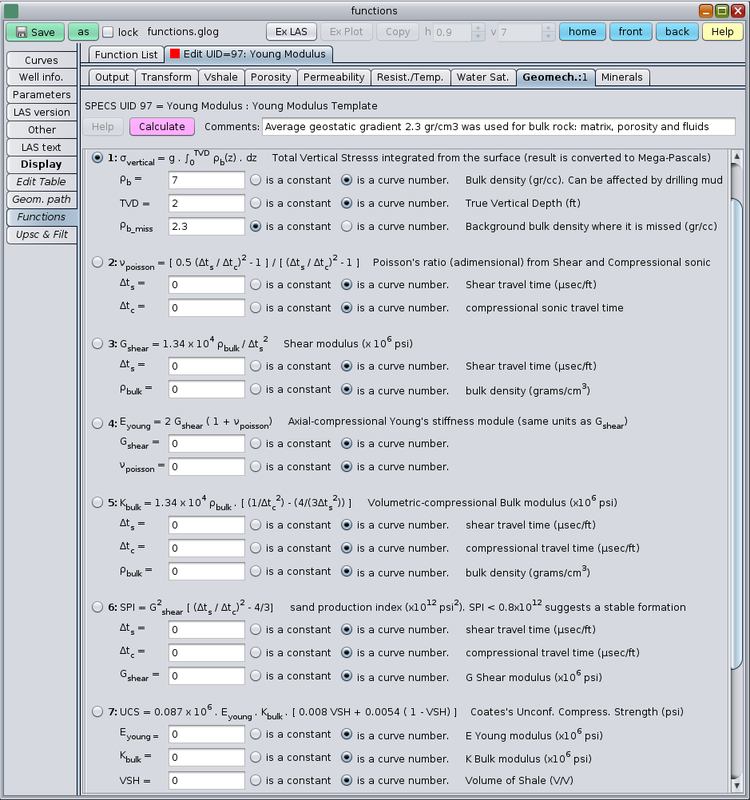 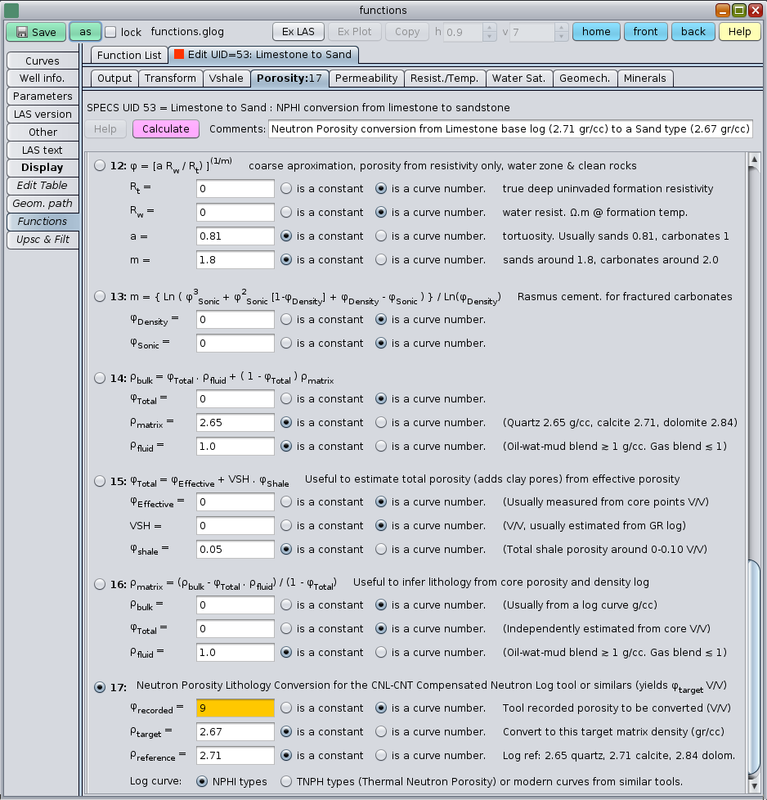 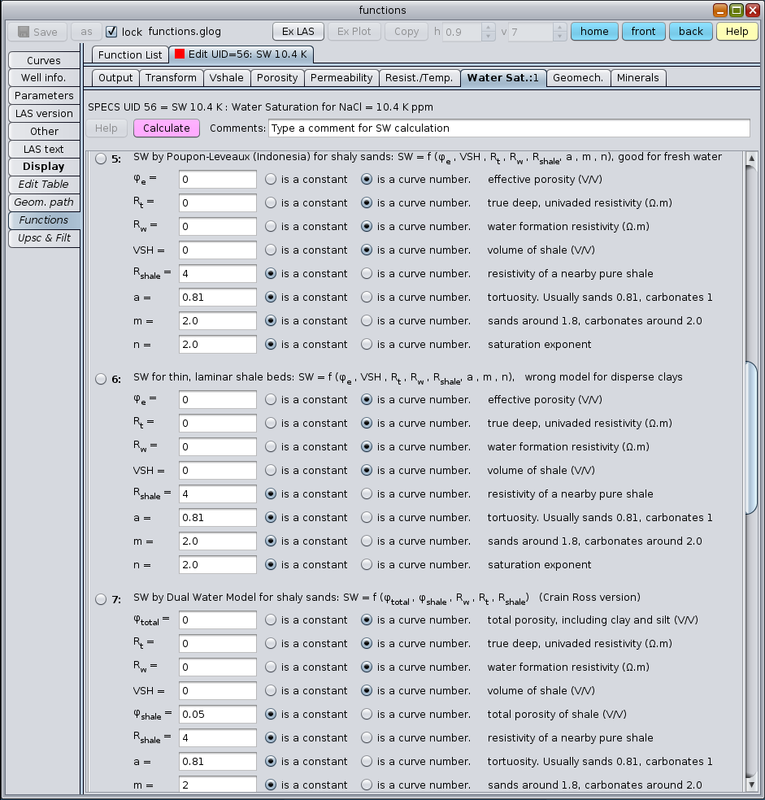 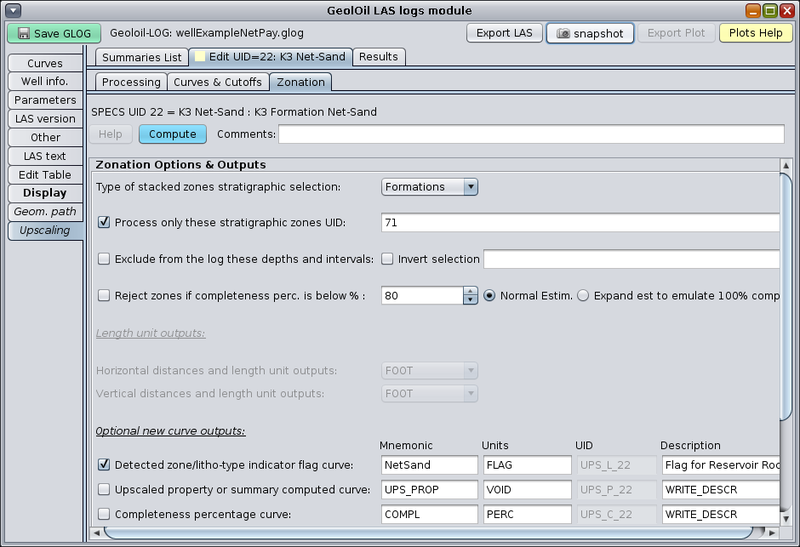 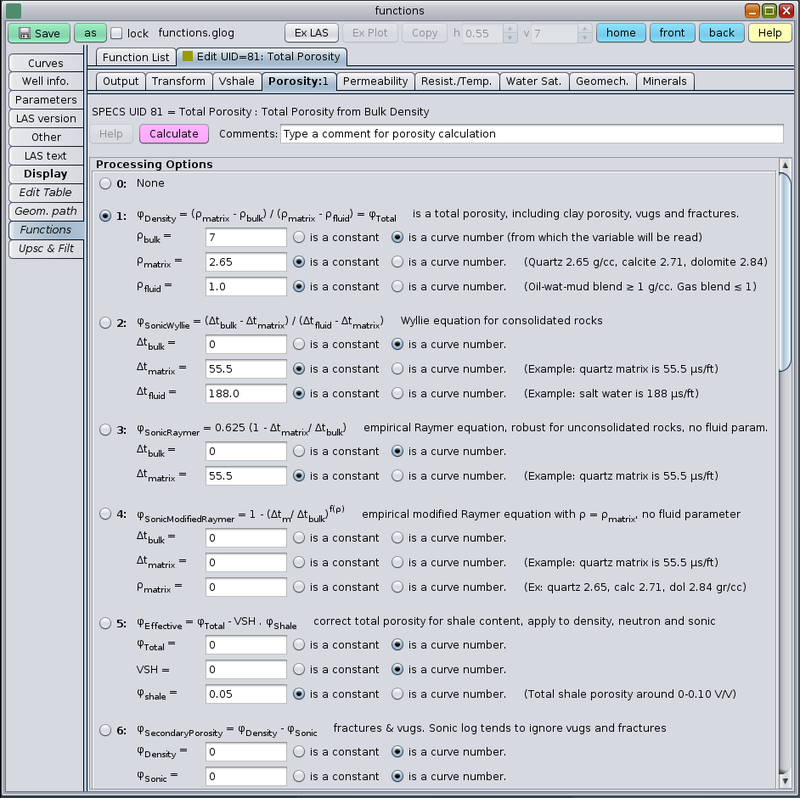 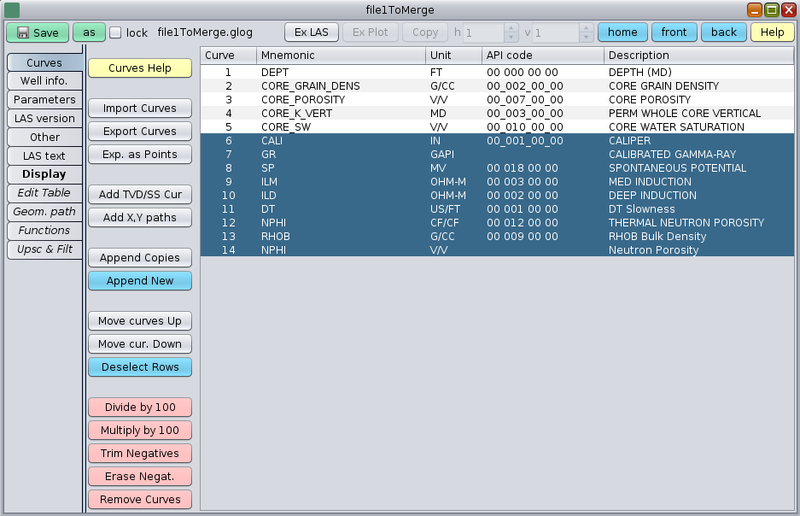 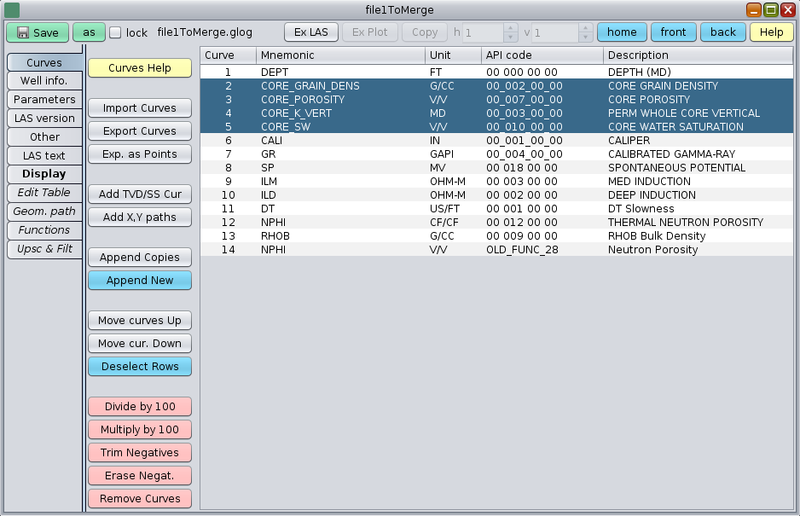 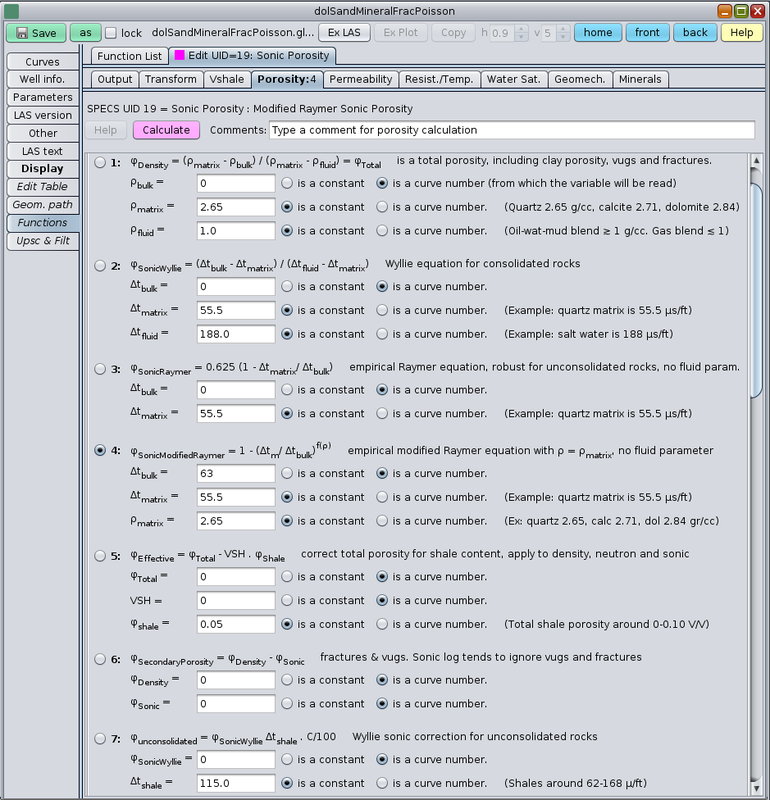 This recipe shows how to merge and re-sample curves from several well log LAS files. 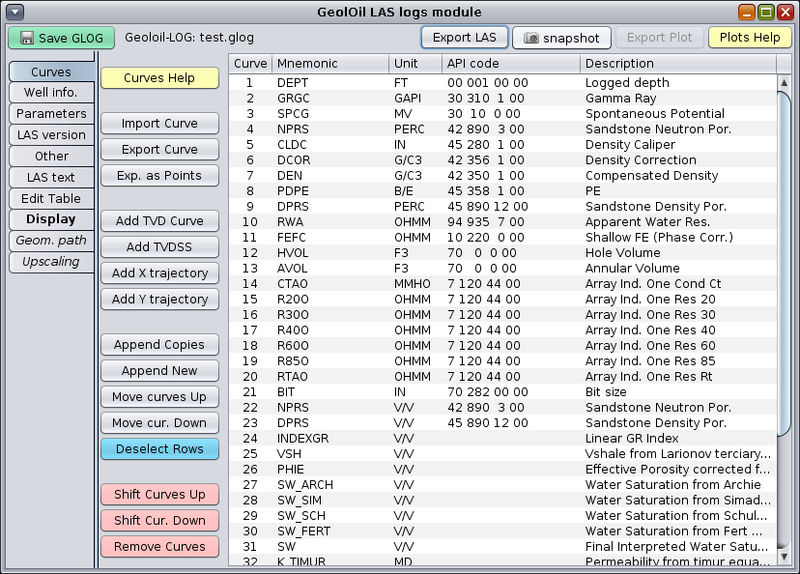 Different depth step resolutions for each LAS file will be re-sampled into a single new bare LAS file with a desired new depth step resolution. 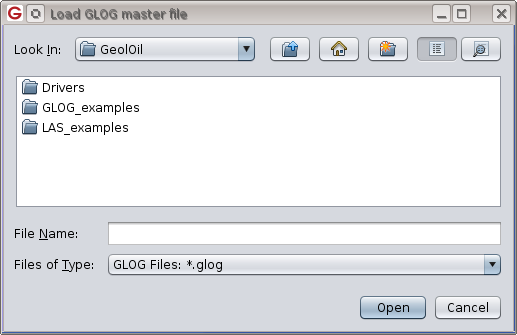 From the GeolOil File menu, open all the source LAS files. 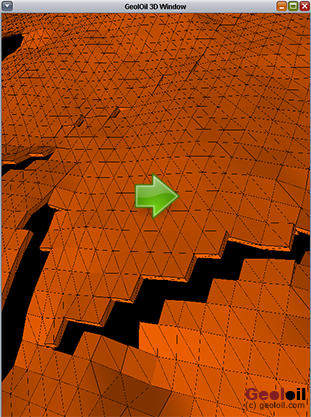 Take the minimum start depth and the maximum end depth among all the files. 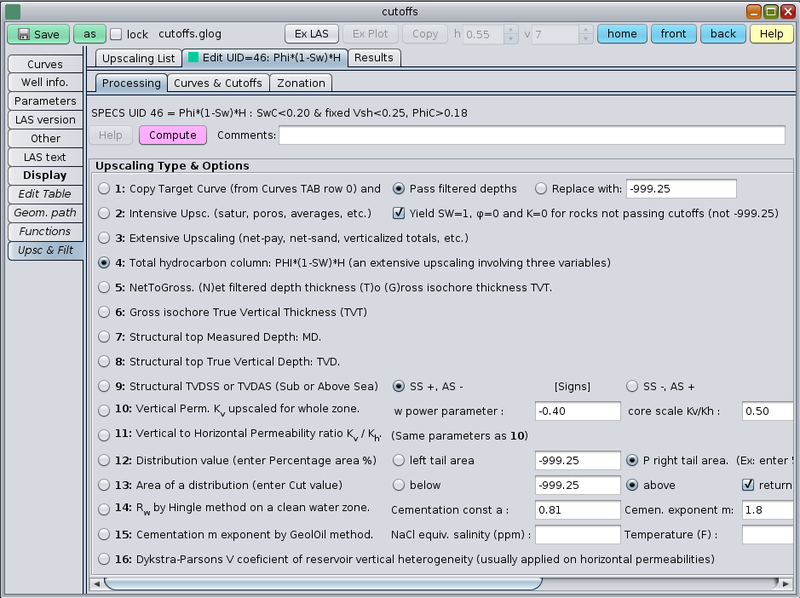 This will cover the whole top and base depth zone where there is data. 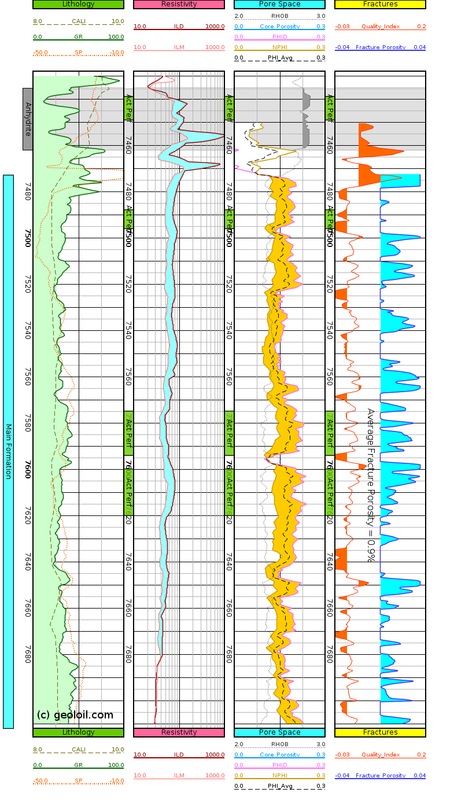 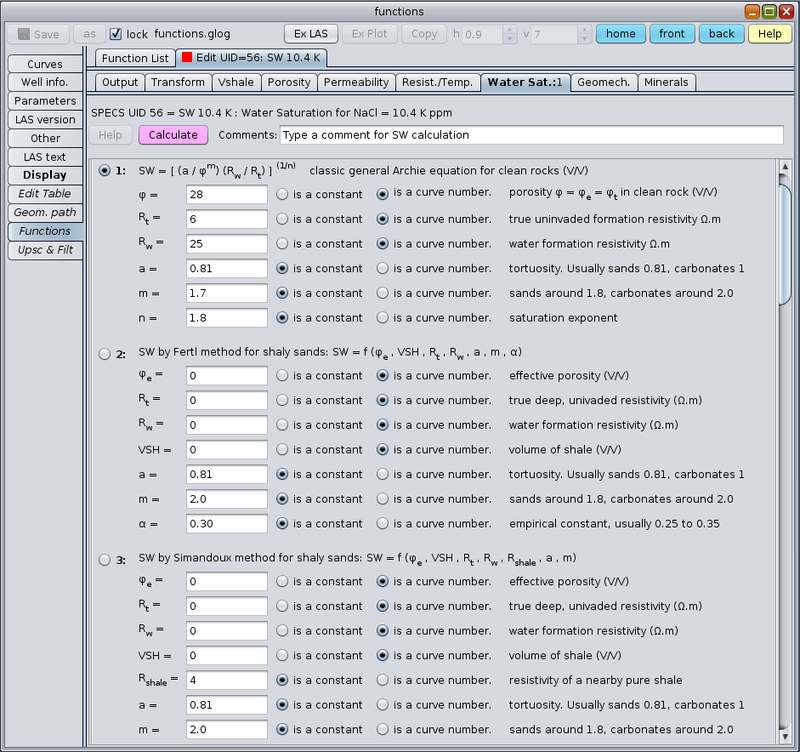 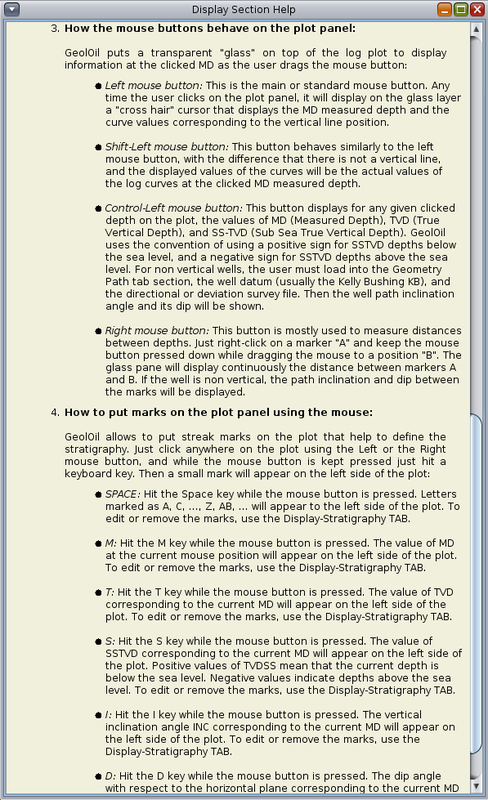 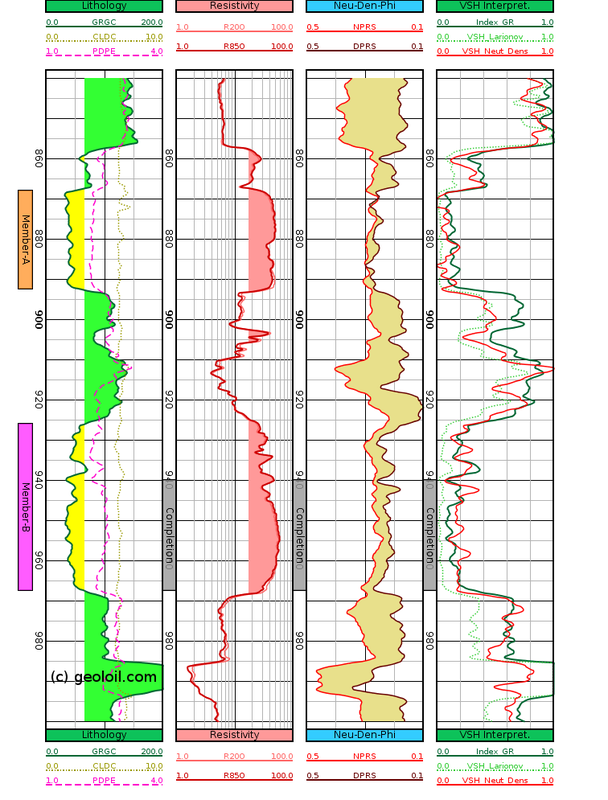 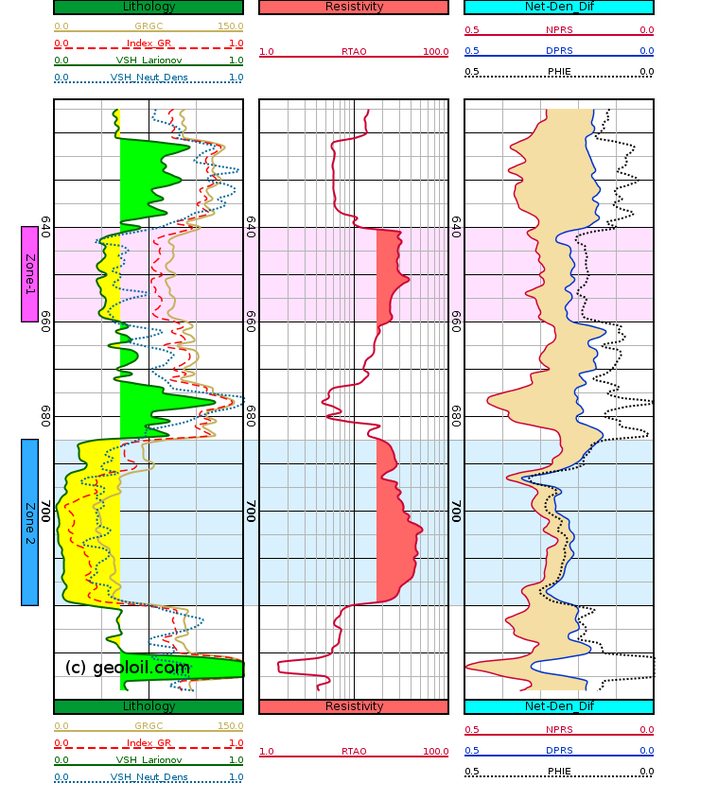 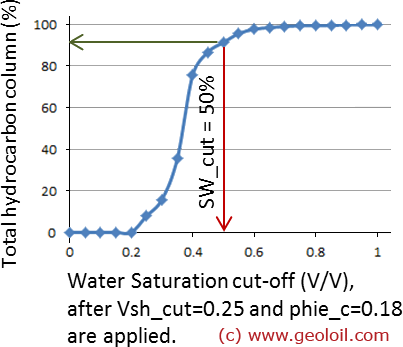 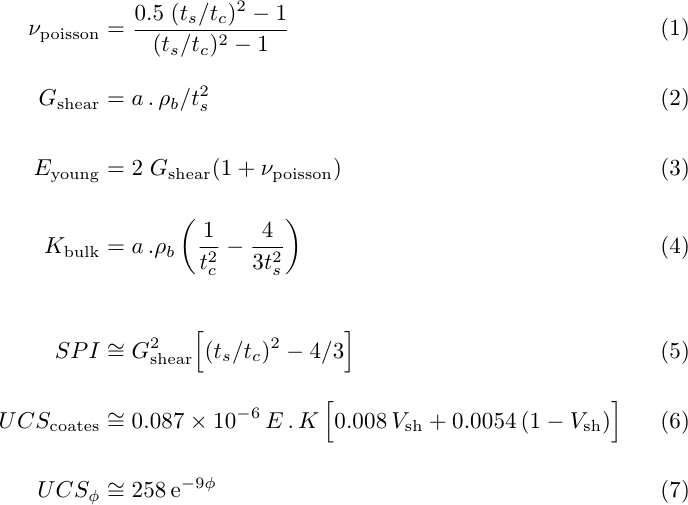 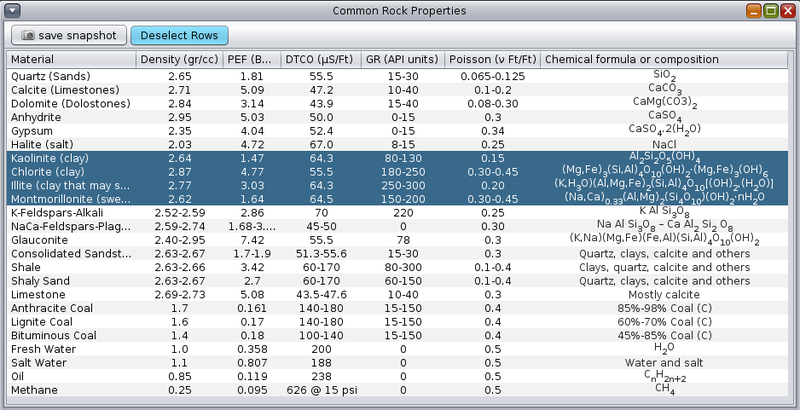 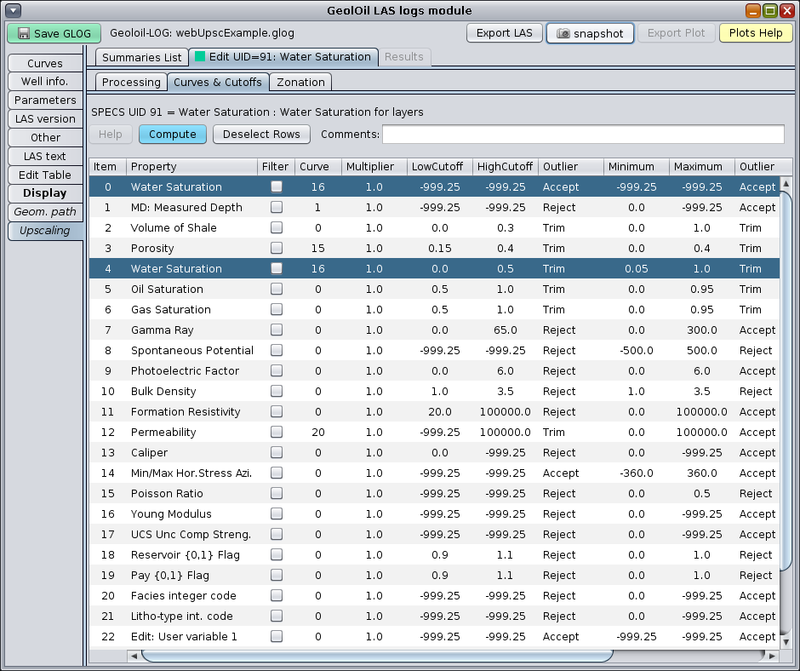 These parameters are normally stored in each Well information section. 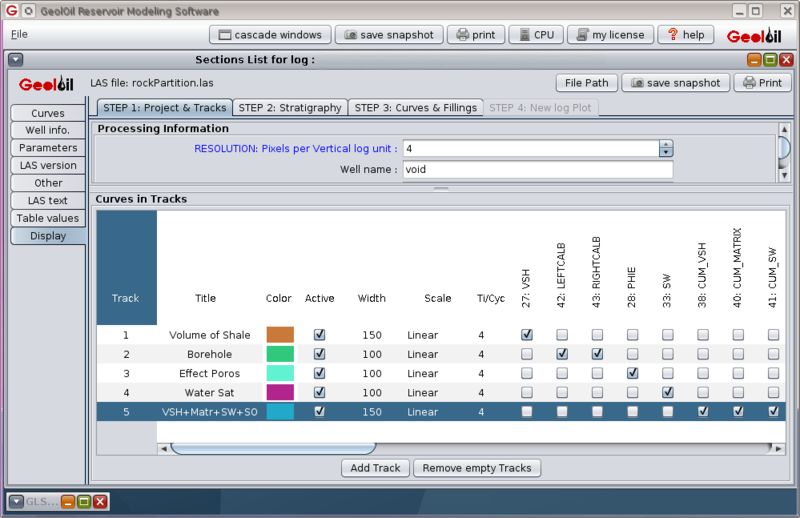 Decide what will be the desired depth step resolution for the final merged file. 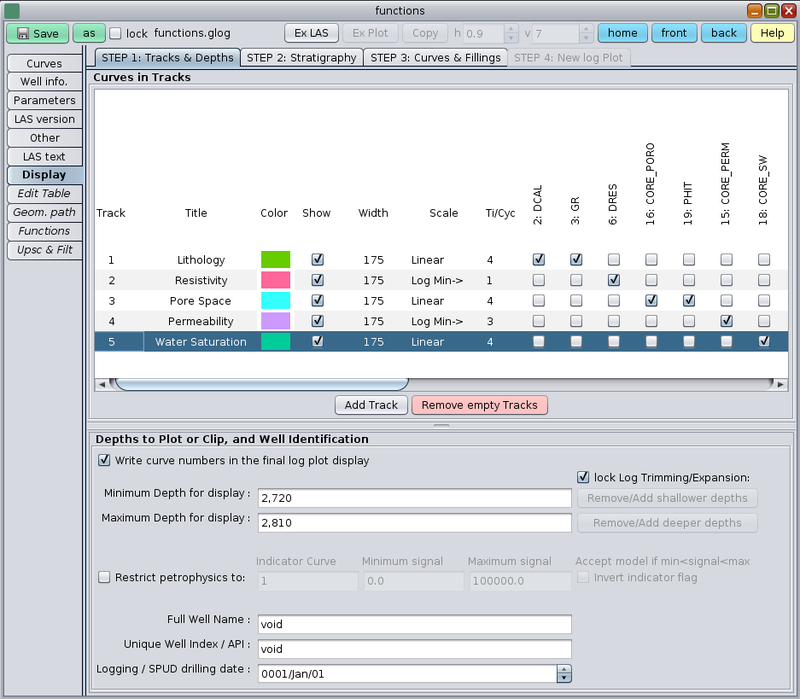 Some users prefer to keep the finest depth step resolution among all the LAS files to avoid any loss of information. 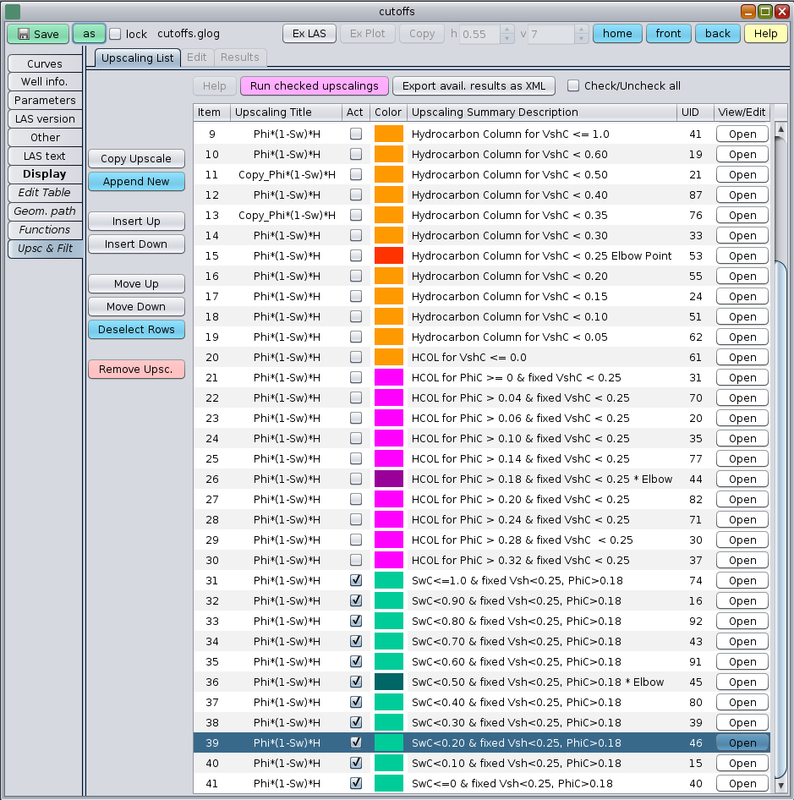 Other users prefer to downgrade the resolution to easily handle a smaller, manageable sized, merged and re-sampled file. 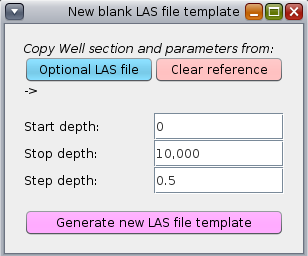 From the File menu, create a New blank LAS file, specifying its Start Depth, Stop Depth, and Step depth, as defined in the steps 2 and 4. 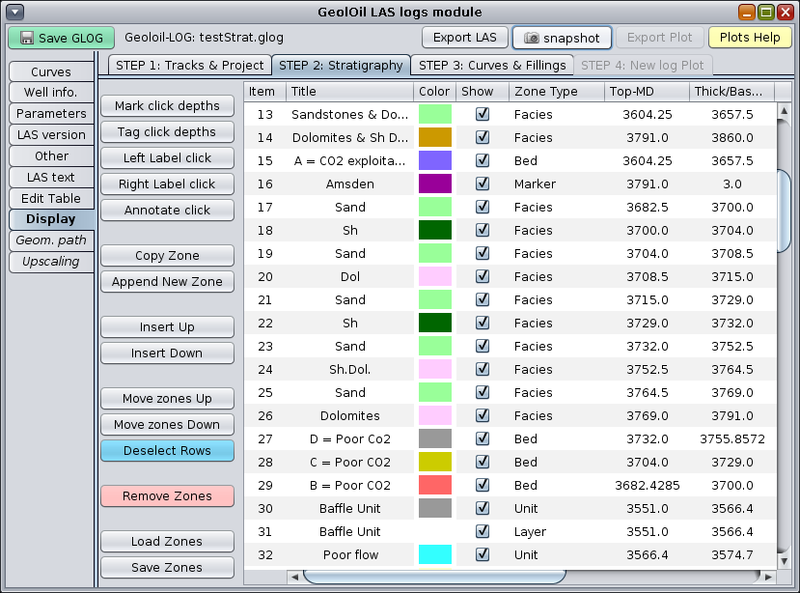 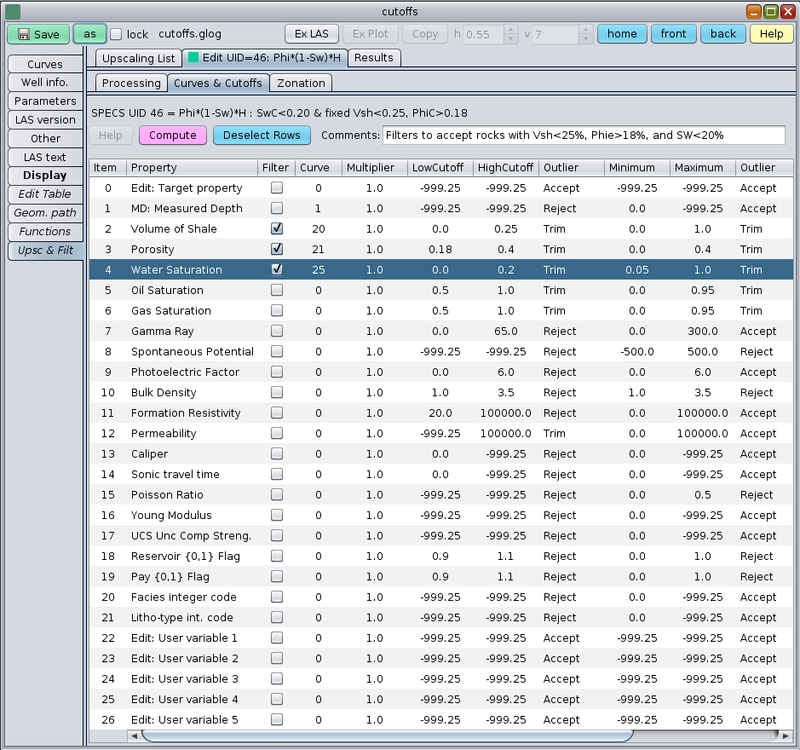 Optionally, the target file to be created could follow the Well information section, and the Parameters section of one selected file. 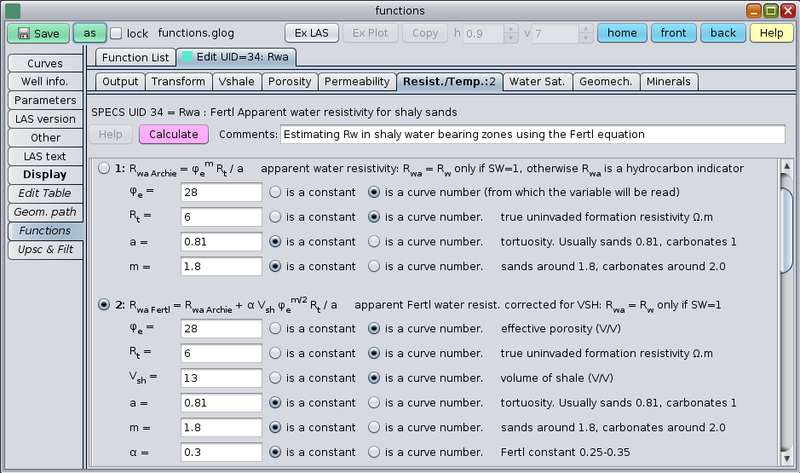 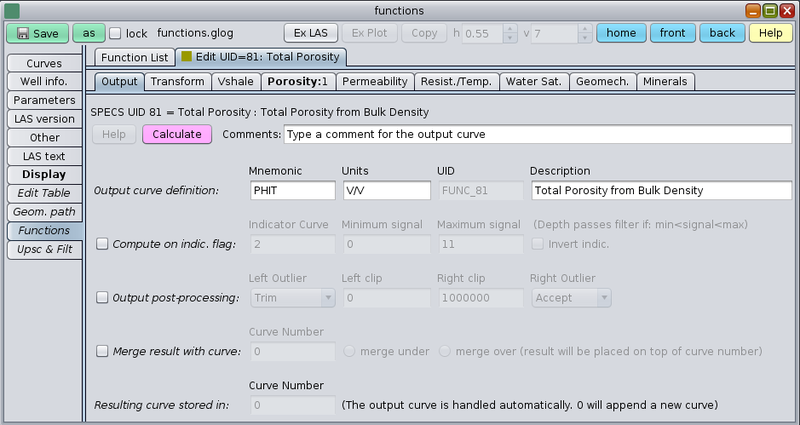 From the first LAS file, highlight all the interested core data "curves" and click Export as Points. 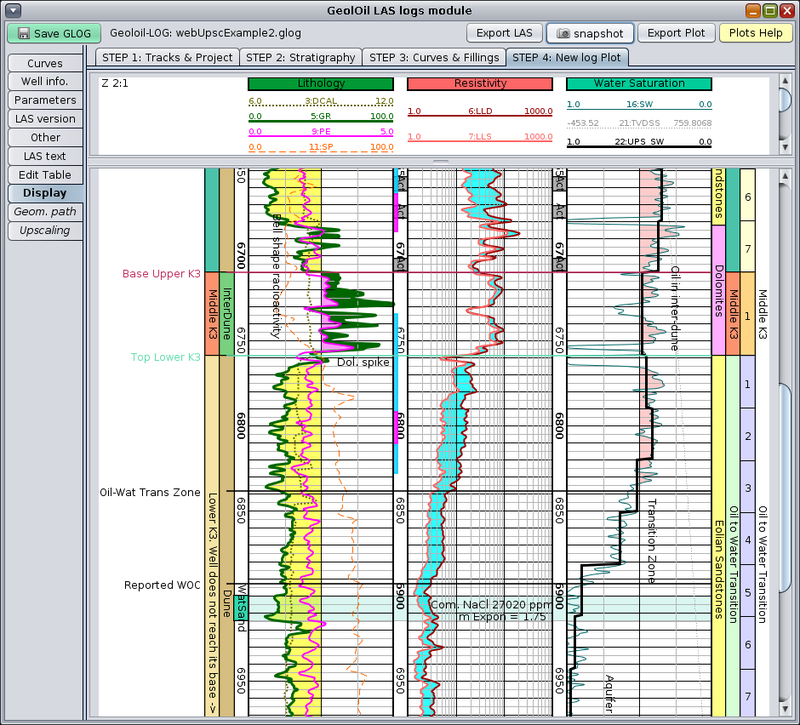 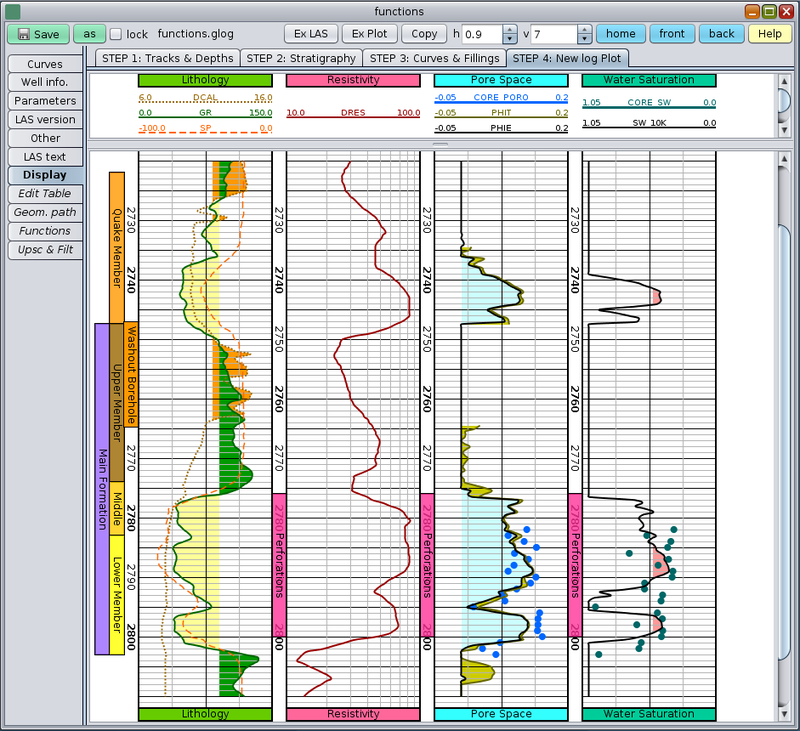 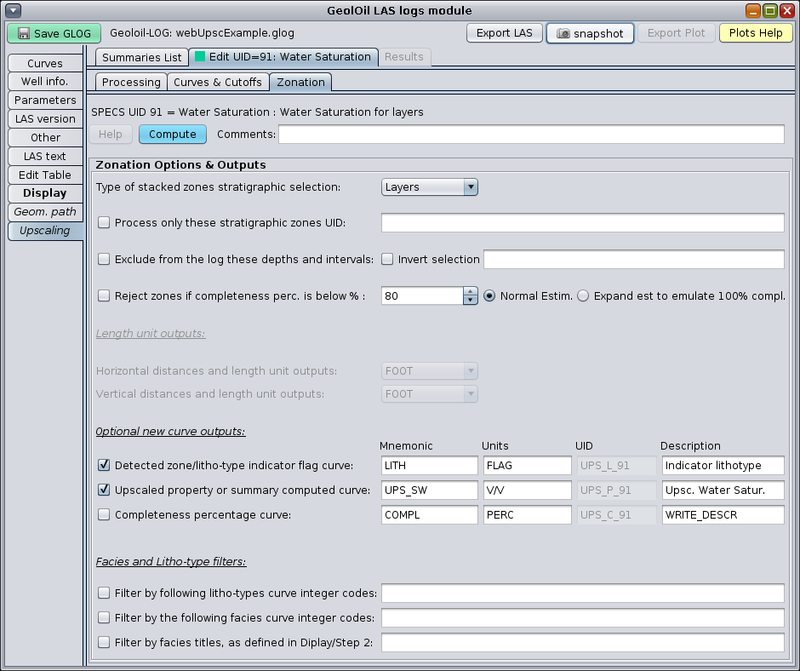 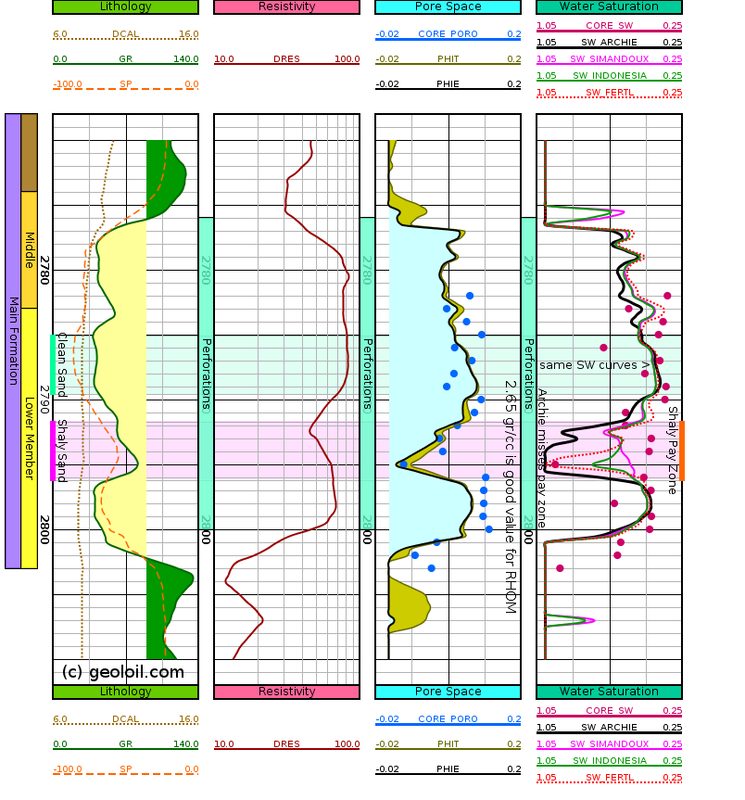 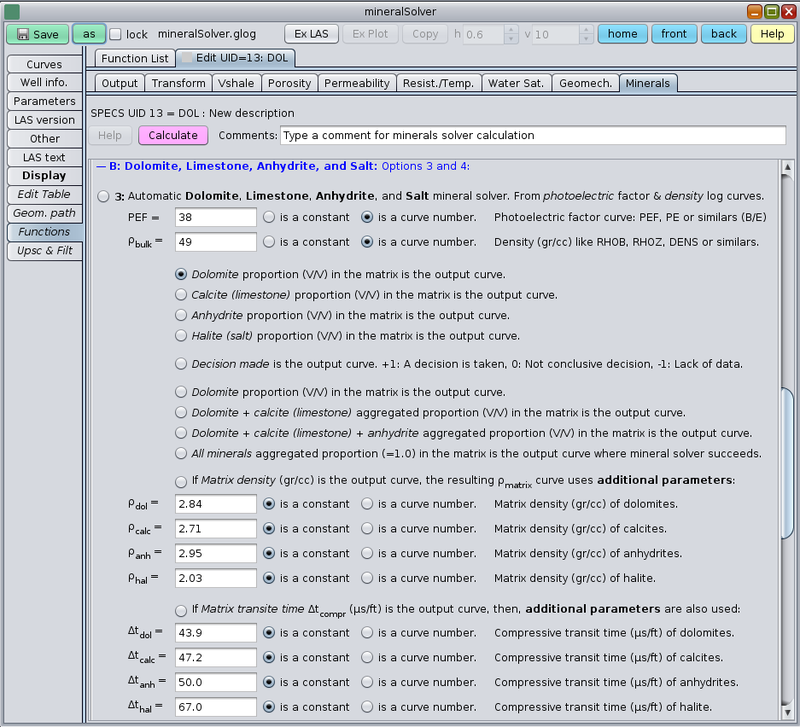 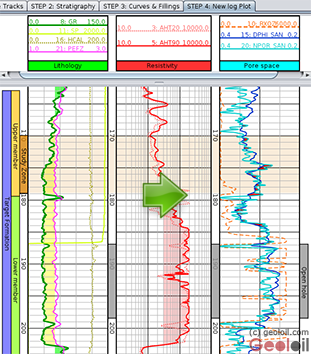 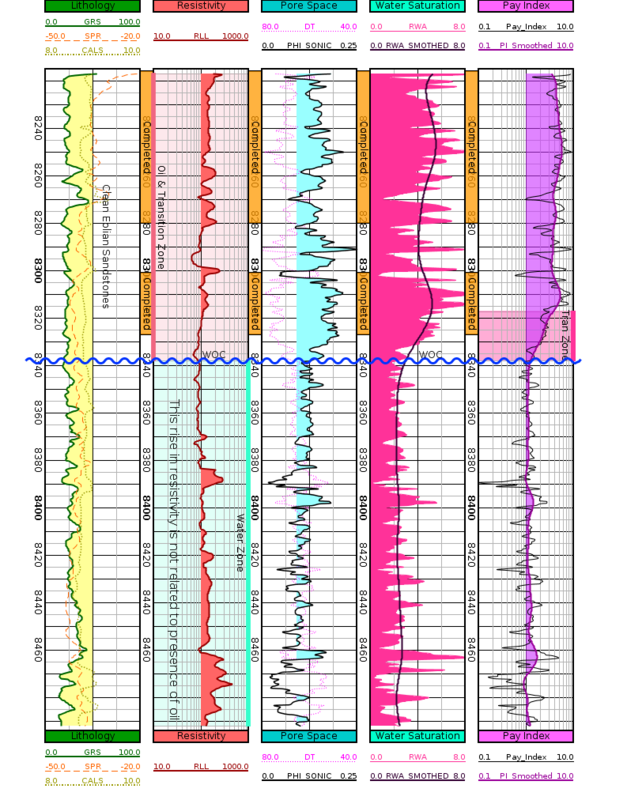 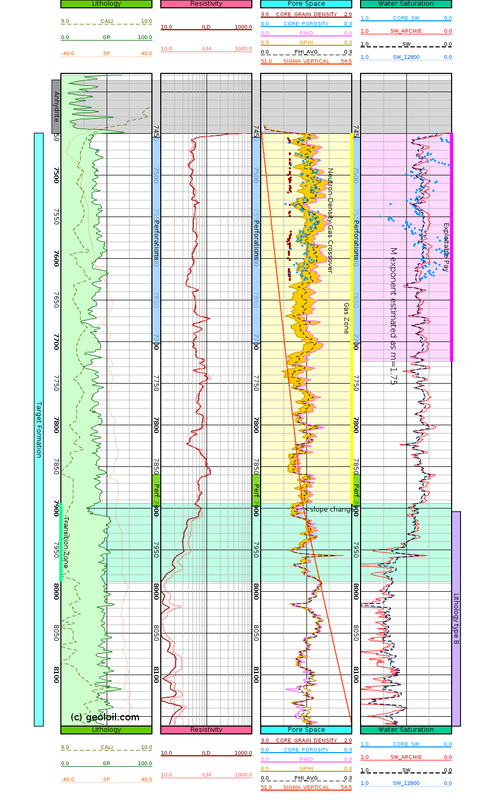 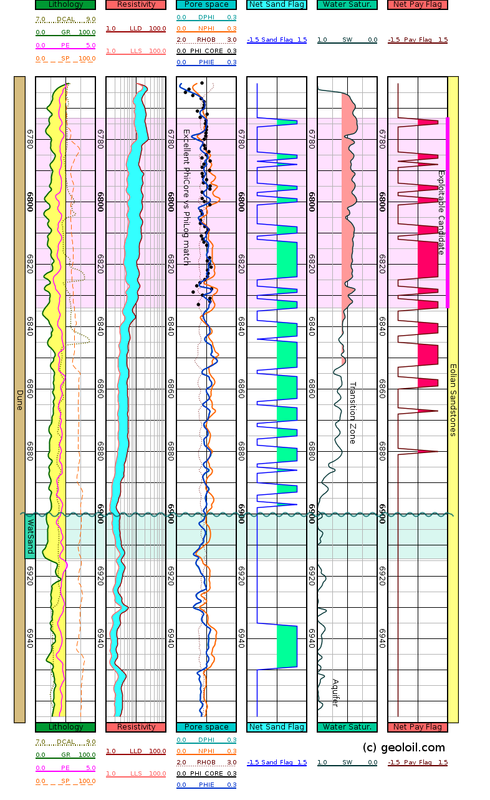 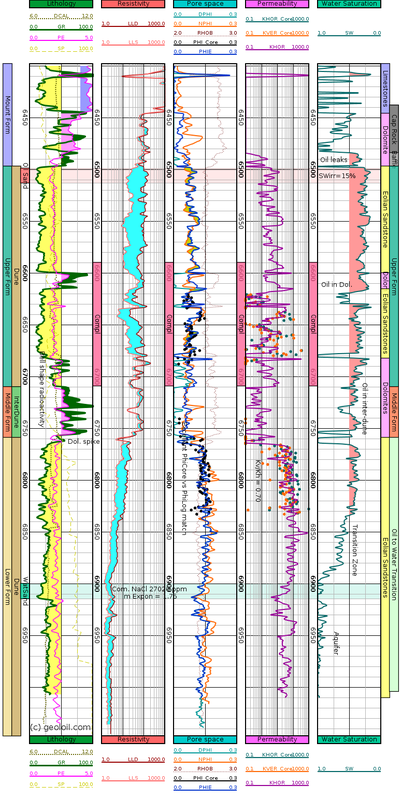 Core data is usually a non contiguous collection of pinpointed lab measurements at irregular depths. 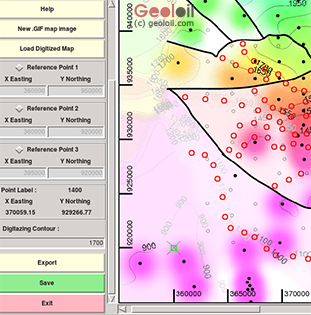 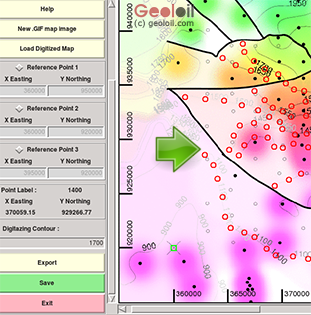 By exporting the core data as a collection of points, GeolOil will avoid to interpolate core values when the information is collocated from a low resolution depth step (coarse bins) to a thinner, higher resolution bins, not filling all the smaller bins in between the original adjacent coarse bins. 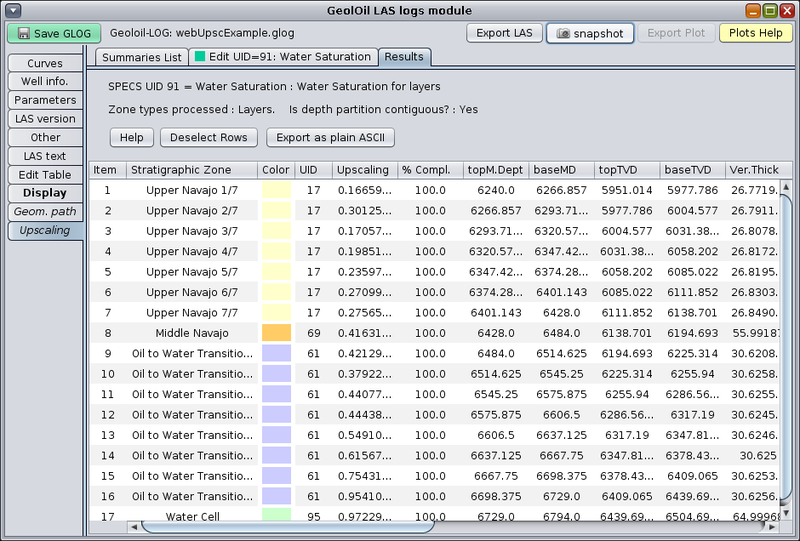 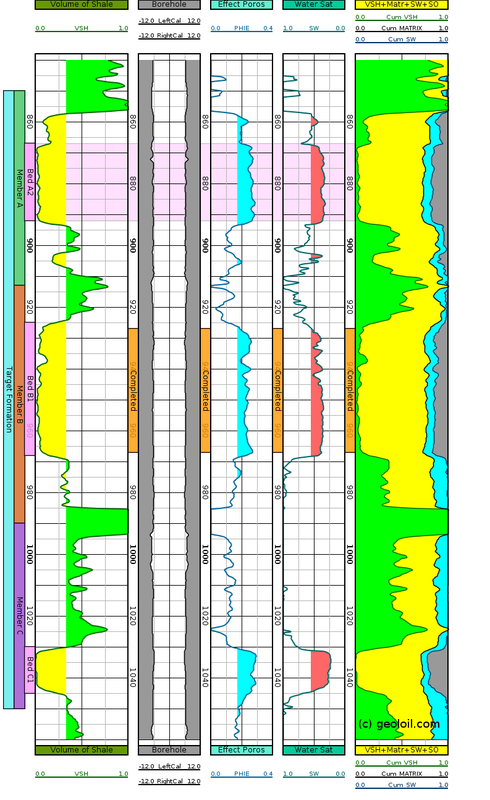 From the same first LAS file, highlight all the interested log curves, but now click Export Curves. 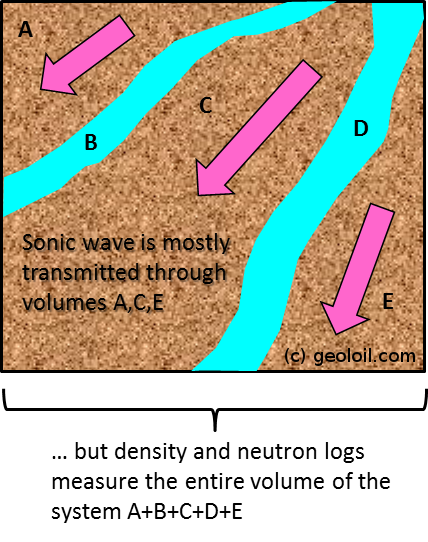 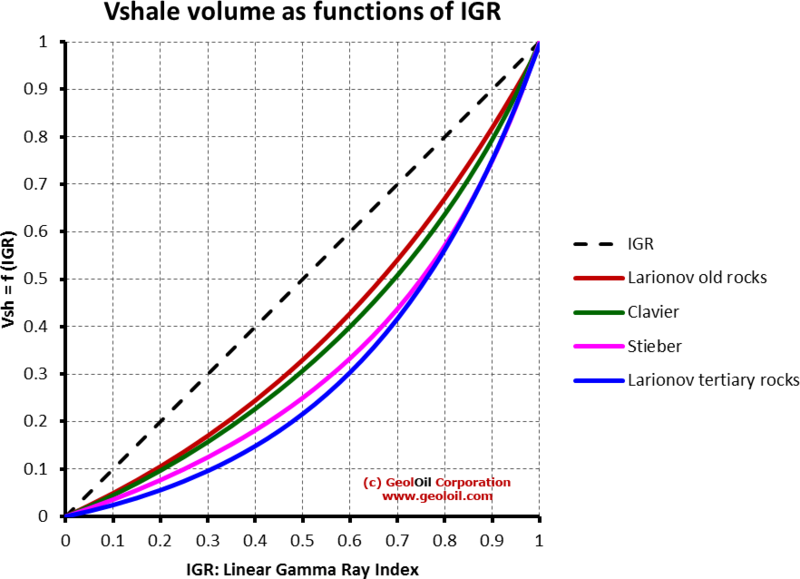 A log curve consists normally of continuous and contiguous blocks of a log signal. 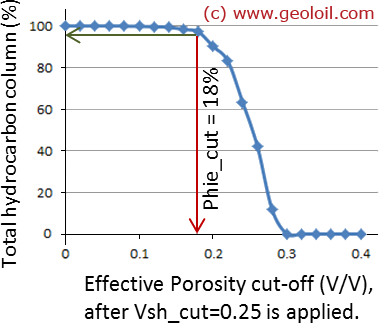 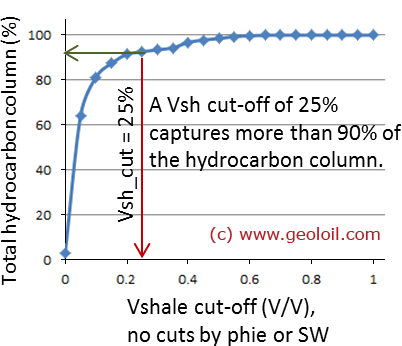 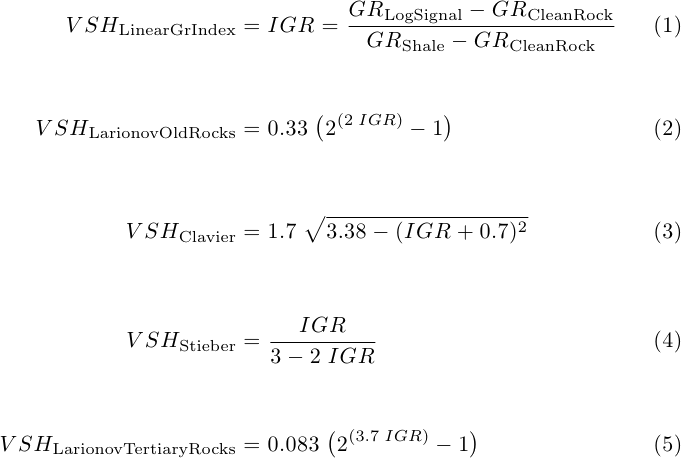 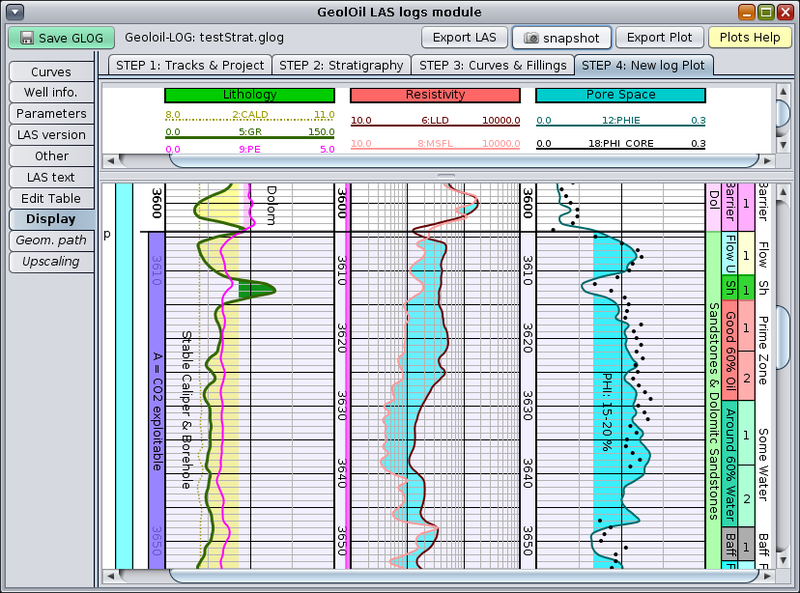 If necessary, GeolOil will re-sample the curve to accommodate it smoothly to any final target depth resolution bin. 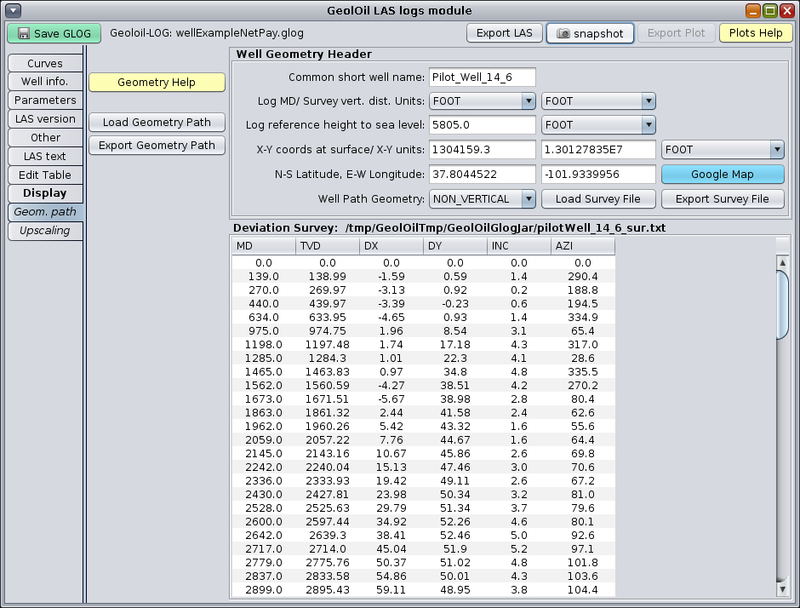 GeolOil will honor all the -999.25 void block intervals.